Want a Samsung Galaxy S6 Edge that looks a little out of the ordinary? 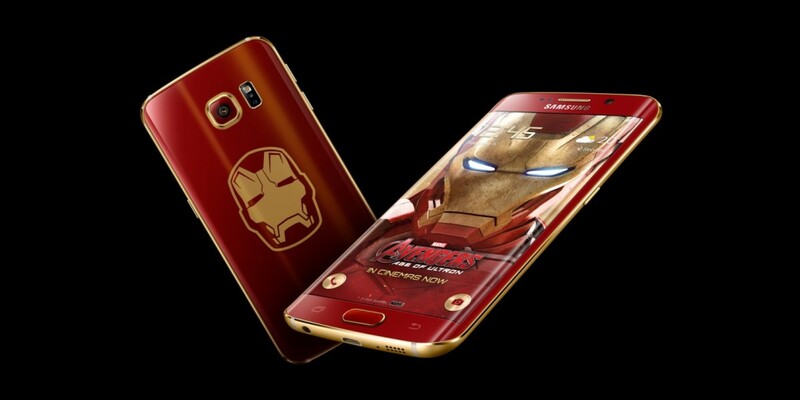 The company has teamed up with Marvel to launch an Iron Man Limited Edition of its recently launched smartphone in Asia, with a distinctive red-and-gold finish. Announced in celebration of Marvel’s Avengers: Age of Ultron blockbuster, the device features an Iron Man-themed interface, complete with custom fonts, icons and dialer. Unlike Tony Stark’s armor, the device isn’t made of a gold titanium alloy — so Samsung has included a clear cover to protect the phone from dings and scratches. There’s also a matching wireless charger that looks like Iron Man’s ARC reactor. If you’re keen to get your hands on one of these, you’ll need to wait until it becomes available in Korea from May 27, or find it China and Hong Kong in June.